We are in need of some capital improvements to our facility. Your donation will help provide children a safe, nurturing, stimulating environment where they feel welcome and parents know peace of mind. Providing childcare in downtown Allentown for approximately 100 years, the Volunteers of America Children’s Center offers affordable early childhood programs and summer day camp for children ages 13 months to 10 years. 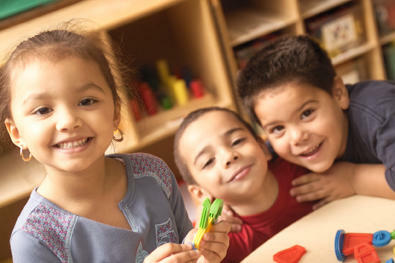 Each child is guided to achieve his or her full potential with individual assessments and a curriculum that address his or her unique social, intellectual, emotional, and cognitive development. The Volunteers of America Children’s Center curriculum is based on literacy and language development, character building, computer skills and creative arts. The Volunteers of America Children's Center, at 730 W. Union Street, has earned the dual accreditation from the National Association for the Education of Young Children, the nation’s leading organization for early childhood professionals as well as a 4-STAR rating through Keystone Stars. The Volunteers of America Children's Center’s staff works to ensure that today’s youngsters develop the skills, values and confidence necessary to become successful adults, parents, citizens and community leaders. Helping children learn to read inspires our teachers at the Volunteers of America Children's Center.